If you want to have a child baptised, please speak to the Parish Priest who will explain what has to take place in terms of preparation for the sacrament, choosing the Godparent(s) – see note on Sponsors below, arranging a date, choosing readings and prayers etc. If you are an adult who has not been baptised and are thinking about becoming a Catholic, then there is a programme called the Rite of the Christian initiation for adults or RCIA which is run in the parish usually starting each autumn. In the first instance, please come along and join us for Mass and meet us and, if you like what you see, speak to the Parish Priest to discuss your interest further. A programme is run in the parish each year to prepare young people for the sacraments of Penance and Holy Communion. Classes are open to the children of parents who, with their family worship regularly at St. Peter’s. Details of classes, when and how to apply are published in the Newsletter during the autumn term. 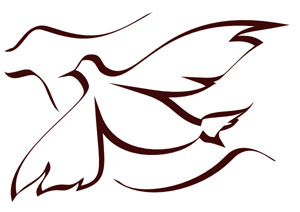 Baptised adults who have not received the sacrament and wish to do so should speak to the Parish Priest. Normal times for Penance/Reconcilation/Confession in the parish are 9:30am to 10:00am and 6pm to 6:20pm on Saturday but check the Newsletter or website first. A programme is run in the parish each year to prepare young people for the sacrament of Confirmation. The programme is open to young people who worship regularly at St. Peter’s. Details of the programme, when and how to apply are published in the Newsletter during the autumn term. Whether you wish to be married here at St Peter’s or elsewhere, it is necessary to give 6 months notice to allow the necessary preparation and administration to be completed. If you want to be married here or would like the Parish Priest to celebrate your marriage elsewhere then contact him to find out what has to take place in terms of the paperwork required, sacramental preparation, choosing readings and prayers, booking an organist, payments etc. If you are being married in another parish or even another country, you will have to provide the priest who is to marry you with certain documents so, again, contact the priest here for further information. Please contact the Parish Office or the Parish Priest if you or someone you know is in need of this sacrament. There was a time when a person wishing to become a Catholic was instructed by a priest. When the candidate was well prepared, he or she was eventually received into the Church. It was a rather low-key event. The Vatican Council changed this rather private practice by revising the ancient Rite of the Christian Initiation of Adults. The striking difference is that this is now very much a community-based programme, designed to meet the needs of candidates’ own personal journey in faith. It is marked by stages and a number of rites and liturgies which mark these steps. Conversion through faith-sharing is the primary goal rather than transmission of information and doctrine. A group of inquirers meets on a weekly basis. They meet with catechists and sponsors to pray and reflect on the teaching of the Church and on the Scripture. The inquirers may be from other religious traditions or they may not yet be baptised. Their aim is to respond to a call to seek full communion with the Church. At St Peter’s the programme starts each Autumn, runs until the candidates are received at the Easter Vigil and then continues for a few weeks after. If you fall into one of the categories below and are interested in learning more or taking your interest further, in the first instance, speak to the Parish Priest. Un-baptised and thinking about becoming a Catholic. A baptised Catholic who has not received the sacraments of Confirmation and Holy Communion. A member of another Christian Church wishing to join the Catholic Church.